While the profilic author-of-all-trades (wait, does that make sense?) Jason Fry has been kind enough to grant Eleven-ThirtyEight extended interviews twice a year since the inception of the site, this, our fourth go-round with Fry, has the fun distinction of being our first in-person interview. 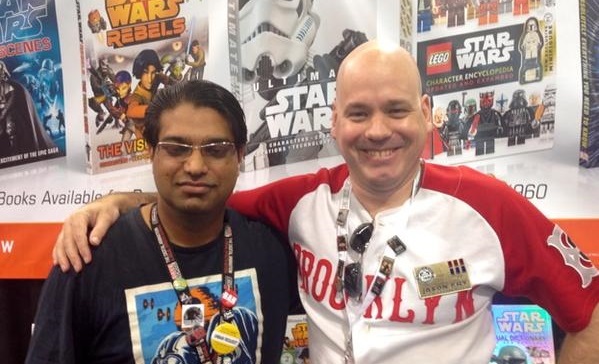 And by “our”, I mean the perpetually-pluralized Jay Shah’s, who was able to grab some time with Fry at Star Wars Celebration Anaheim a couple weeks ago. 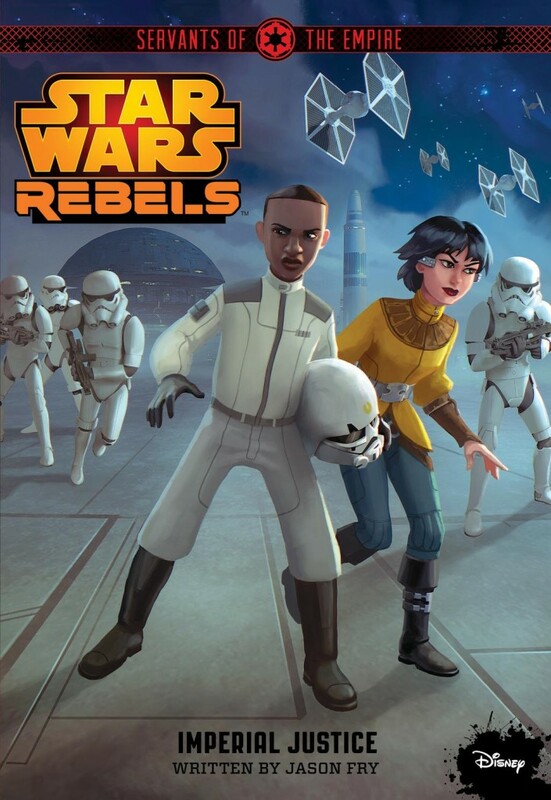 When you were writing your Star Wars Rebels tie-in novels, was there a hard timeline given to you between appearances of Zare Leonis or was it something that was more flexible and left in the air? The timeline for the Servants of the Empire books has been pretty flexible. For instance, I made the decision to—well, that’s not quite true—the assignment for the first book, for Edge of the Galaxy, was to give us a sense of where these characters came from. So we would know them, so when we were introduced to Zare in “Breaking Ranks”, we’d have a sense of who he was. It was my decision, though, to start that really a year ahead of the action we see. So I had a lot of flexibility there in the timeline. Now that the series is overlapping with the book, we work pretty closely with Story Group to make sure that the timeline works. That’s actually been, at the risk of giving something away (I don’t think we’re giving anything away) it’s a particular challenge between Servants of the Empire three, Imperial Justice, and then as we explore what happens in the fourth book. We have to make—we have to work very closely to make sure that we have the timelines working. But you know, fortunately, the folks at Story Group are so good at what they do, and I have a lot of help. So they’re helping us keep all that straight. And if I get something wrong, I’m sure I will know about it. (laughs) And speaking of things coming out, the cover art we just saw for the third novel was great, and we loved seeing Merei there for the first time. One thing I want to know is, how much input does an author get in cover art? Do they get to specify, obviously they have…what characters look like, but in terms of like, what the content is, the placement, whether a character makes the cover at all? It really varies tremendously how much input an author has. The folks at Lucasfilm were actually kind enough to consult with me somewhat on the first Servants of the Empire book, in terms of the elements that would go into it, et cetera. Generally though, for all you aspiring authors out there, the default for how much input you’re gonna have into your cover is zero. It’s really done…it’s really done pretty much independently of the writing. For instance, with Jupiter Pirates, my other series, I felt just incredibly lucky when I got to see the cover art by Tom Lintern, which was just beautiful, and really captured the spirit of things. I’ve written books—I won’t name names on this one, but I’ve written books where that’s not true, and it’s just…it’s not the most fun day you have as an author. But I was so happy to see Merei on the cover. I, you know, she was a character that I invented and have really come to love, so getting to see her actually on the cover and seeing her being embraced by fans is…it’s just been amazing. It’s one of many “pinch me” moments as a Star Wars author. And as somewhat of an editorial comment rather than a question, that character has been properly embraced by many of my friends, and many people in the fandom just because she’s smart, she’s clever, and she’s a great role model, I think, to females and males in the fandom—young kids, I think, especially, as well. Yeah, I had…when we unveiled the cover on Twitter—and a shout-out to Jen Heddle at Lucasfilm, who was very kind in getting me a look at it, and then saying absolutely when I asked her if we could put it out as a little Celebration preview. But after we did that, I got…a woman tweeted at me, and it was really just unbelievably touching, she said that she had grown up as a coder, and she had grown up being told that girls couldn’t code. That it wasn’t something for her. So she actually thanked me for that character and said ‘that helped more than you know’, which, I was really almost overcome by—and you know, my first job as an author is to entertain and tell stories, but when in doing that I can push back against things people have struggled with and…open things up for more and more people, that’s just really gratifying and rewarding. So I was unbelievably happy about that. Oh, really? Oh, wow, that’s great! —she inspired the review I wrote of the book as well; her story is what I put in my section about Merei as well. I’ll have to bring her down here, for sure, to meet you. Oh, wow, that would be great. No, I was…I was so, so, happy about that. It was amazing. Another thing that just popped up is, I heard an individual ask about Zare and Finn, and I imagine that’s been going on a lot. And while you can’t talk about the substance of that, taking it a step back—what do you think about all the people who are speculating whether X character is in The Force Awakens, or Y character is in The Force Awakens—whether it’s Aphra from the Vader comics, or whether it’s Zare from your books, and Rebels, everyone’s always saying ‘well, somebody somewhere has to be linked to The Force Awakens‘. What do you think of Zare in particular being—‘well he’s, you know, an African-American-looking individual, so he must be related to the African Englishman in Episode VII’? (laughs) Yeah, I mean…can that get a little silly? Yeah, it definitely can, but in fans’ defense who jump to conclusions about that, I think it is worth noting that…a whole lot of people in Star Wars turn out to be related to each other! That’s true. That is very true. So, it’s not a…it’s not a terrible guess. Obviously I can’t say…I will say that for me, one of the most fun things about the walk up to Episode VII has been just that kind of speculation. Thinking in terms of not just characters, but other parts of what we’ve seen in Star Wars storytelling, and imagining how might that be reflected in the new movie. It’s really great. I will say that for Servants of the Empire, that when all is said and done and we know the whole sweep of the story…will there be direct connections? I wouldn’t tell you that even…I wouldn’t tell you that, but I think it will be interesting…to look at it in that light. How’s that for a semi-weaselly answer? That’s…it’s a very Obi-Wan Kenobi answer, I would say. That’s what I go for. Be sure to come back on Monday for Part Two, in which Jason and Jay talk much more about Merei’s origins, and the nature of young reader stories versus “adult” stories.